These crispy homemade tots are so flavorful, you won’t miss the potato. The cauliflower texture is so similar to the potato, some might even be fooled into thinking these are regular tater tots. My cauliflower obsession continues. I really love how these turned out. And unlike some of the other recipes where you could still taste the cauliflower, in this one I couldn’t. I actually kind of missed the roasted cauliflower flavor, but these were still super tasty. Mr. K has his annual physical in a few days, so he’s been more amiable to my healthier substitutions. I’m taking advantage by making as many healthier dishes as possible. He gave this one his seal of approval. 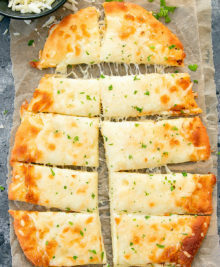 These come out of the oven very crispy, with cheese and Italian seasoning to give them a delicious flavor. The bits of cauliflower felt just like the little bits of potato in my mouth. I’m definitely making this one again. These crispy homemade tots are so flavorful, you won't miss the potato. 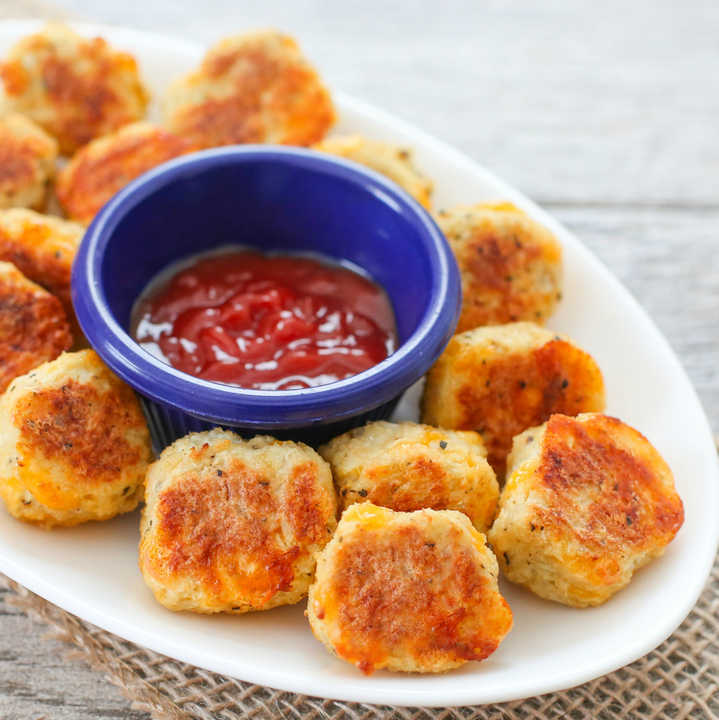 The cauliflower texture is so similar to the potato, some might even be fooled into thinking these are regular tater tots. To prepare the cauliflower, first boil florets until soft. Then either finely chop with a knife, or pulse a few times in a food processor until it resembles large course crumbs, like photo above. Add the 3 cups of chopped cauliflower, breadcrumbs, cheese and eggs into a large mixing bowl. Mix with a large spoon until everything is combined. Preheat oven to 400°F. While oven is preheating, shape cauliflower mixture to form small cylinders, the size of tater tots (about 1-inch long). 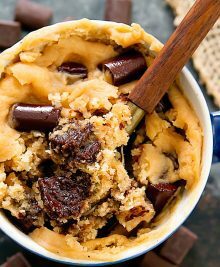 Make sure to first press the mixture together firmly between your palms before shaping, so that the ingredients hold together. Place on a baking sheet lined with parchment paper. Bake for about 15 minutes. Bottom of tots should be brown. 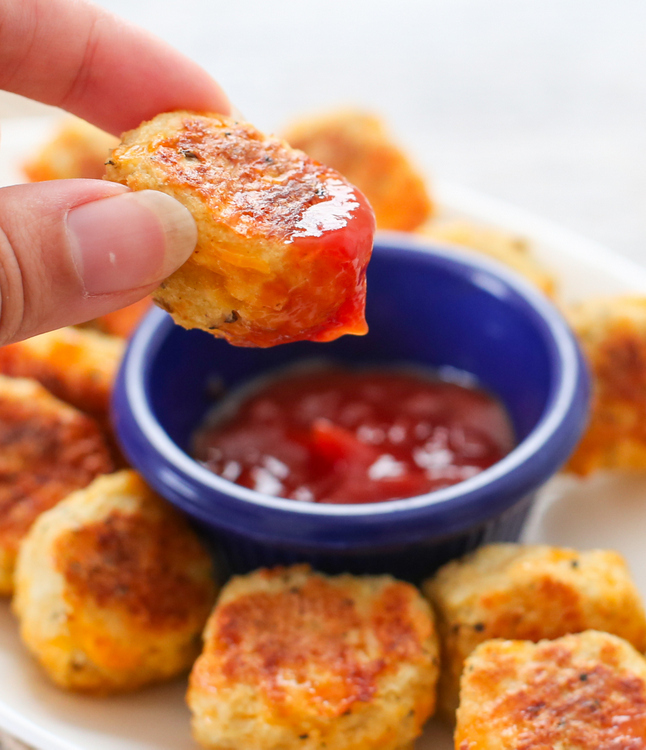 Flip tots over and bake for another 10 minutes. 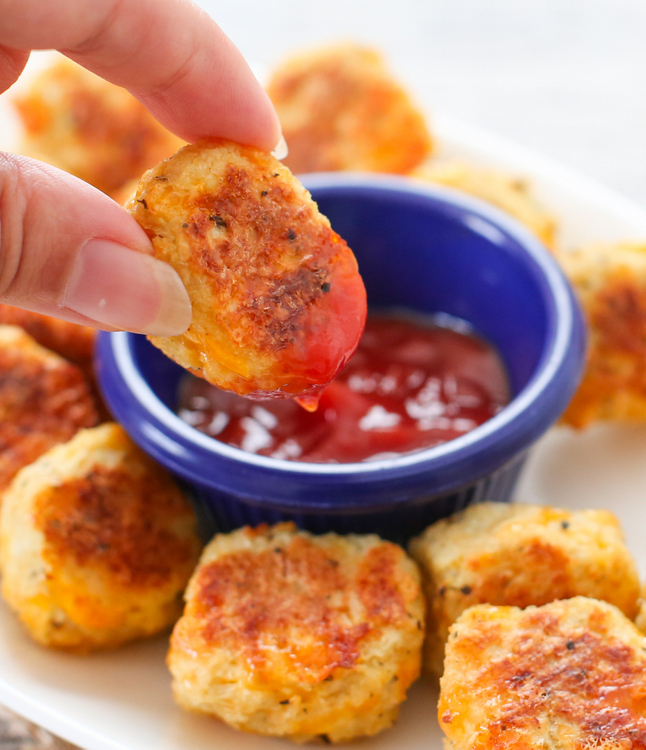 If your tots are larger, you may need to bake longer so that they are crispy. Serve with ketchup or other dipping sauce. If you can't find seasoned panko breadcrumbs, you can use plain ones. Just be sure and season them with Italian seasoning, salt, and pepper otherwise the tots won't have much flavor. Love these!!! And I can actually get my boys to devour these, not knowing they’re good for them. Perfect! 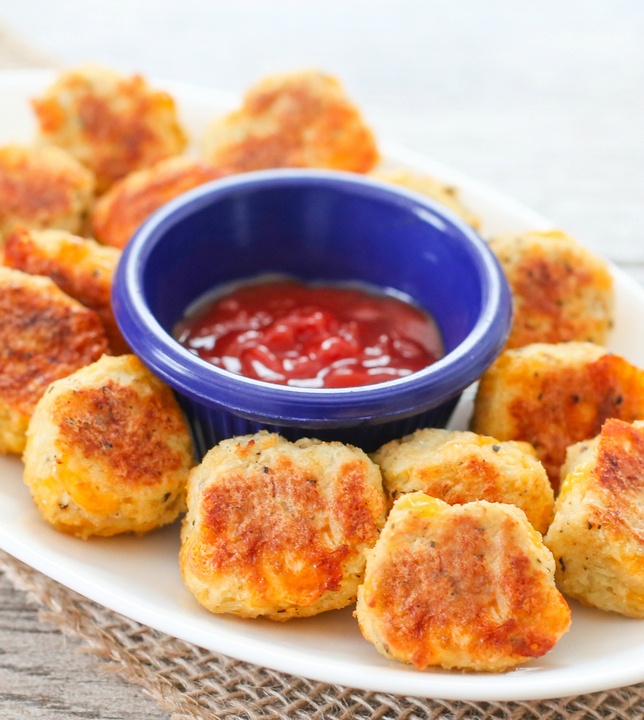 I believe these as a tot imposter more than zucchini tots… I’ll have to try them. Cauliflower is one of my new favorite foods to play with. It works so well with so many different flavors! Yeah, I don’t imagine you can hide zucchini and not have people notice. But the cooked cauliflower, chopped into bits and mixed with seasonings, tastes pretty darn similar to potatoes prepared in a similar fashion. ooh yummy! now the only dilemma i have is whether to try this one or the parmesan ones first! or both… also sounds like a great party appetizer! Both are great! the parmesan ones taste more cauliflower-y compared to these, but both are delicious. Maybe mini muffin tins would work for easier forming and baking? 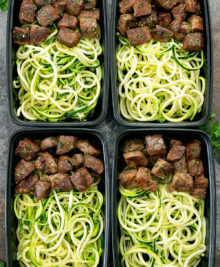 These look really good, but could you post in your recipes how far in advance things can be prepared and if freezing is an option? I like to make as much as possible ahead of time when I have company over. I skip a lot of recipes if I’m not sure how far I can make them in advance! Could you skip the cheese? Got a house full of dairy allergies over here! Thanks! Expect I’ll try these. Don’t understand the “finely chopped” part. Pictures don’t look finely chopped. Never mind on above comment. I get it now ! A ice cube tray makes a great tot form. I use a little nonstick spray before filling it to form the tots. oh that is a great idea! thanks! These look fantastic. Just whipped them up now but realizing they make a lot ! 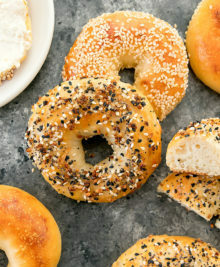 Could I freeze these and bake them up later? i imagine that should work but i haven’t actually tried as my husband and I always finish these off right away! I need a low carb version. I’ll have to try these without the panko. There are 22g of carbs in 1 oz of panko crumbs! Perhaps some crushed pork rinds? 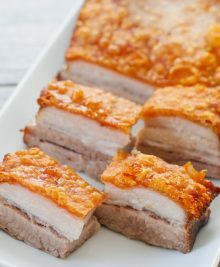 Crushed pork rinds will do the trick!! toss some in the food processor and you’re good to go! i made these last night. They were really tasty! I did add one jalapeño pepper finely chopped as we like things spicy. I also needed a lower carb version so I took some low carb bread and made my own bread crumbs with it. I also added some Italian spices. It worked great! Hope it’s not to late to reply, but @Shannon- I’ve used grated Parmesan cheese (the kind that comes in a can) as a low-carb substitute for bread crumbs in other dishes. You may need to add some Italian seasoning too. These are yummy! I steamed my cauliflower in my Instant Pot pressure cooker for 4 minutes instead of boiling. Then because I’m lazy I used a small cookie scoop instead of forming the tots. My kids loved them! Imagine the looks of shock on their faces when I told them it was cauliflower! Of course I waited until after they had eaten them….. I made them today and they are so yummy! Great idea! Trader Joe’s now sells bags of frozen riced cauliflower! That simplifies the prep tremendously. One question, though: would you blanch the riced cauliflower first, or simply add a few minutes to the baking time? Thanks! Everyone has been telling me about the riced cauliflower! 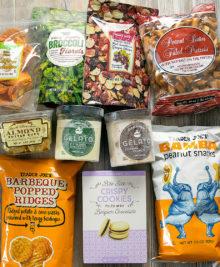 I need to go get some at Trader Joe’s. 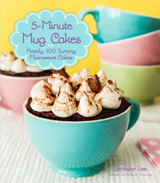 I would just add a few minutes to baking time! The cauliflower cooks pretty fast in the oven. My husband and I loved them as well! I have to say they are the BOMB & this will be a do over for sure! Thank you so much for a new way to make Cauliflower & for helping me get veggies in my daughter . Yay! I’m so happy to hear how much your family enjoyed these. 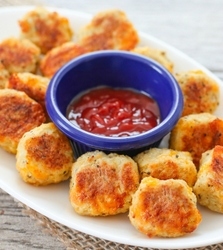 I love this recipe and we make these tots instead of potato ones all the time. There’s a lot more other cauliflower recipes I have shared that I hope you’ll try as well! What happens if the cauliflower got too soft and it looks like mash potatoes? Will it still work? I think it will work, but it will have a texture probably more like mashed cauliflower tots? Hi! 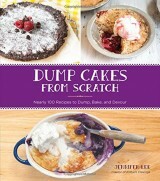 I adore your recipes!!! 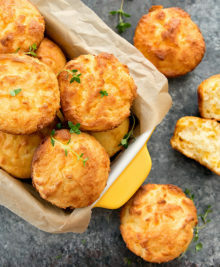 Question: Is it possible to make them using almond or coconut flour or oat bran to make them more low carb?